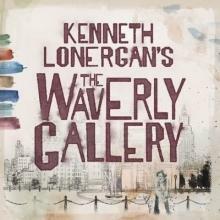 The Waverly Gallery is about the final years of a generous, chatty, and feisty grandmother's final battle against Alzheimer's disease. Gladys is an old-school lefty and social activist and longtime owner of a small art gallery in Greenwich Village. The play explores her fight to retain her independence and the subsequent effect of her decline on her family, especially her grandson. More than a memory play, The Waverly Gallery captures the humor and strength of a family in the face of crisis.